If I could go back to my early years of training and could change one thing, then I would definitely cut down on the volume of my training sessions. I began training with weights with the intention of getting bigger and stronger to be like my WWE idols. I was obsessed with size and tried programs that I found in the magazines and would often added more reps, sets, and exercises to them. Infact there was a time when I trained just my biceps and triceps for 3 hours in a single session! Yes, just the upper arms and not even the forearms during those 3 hours. So did my arms get huge due to it? Well, they surely got pumped, but as you may know that the pump lasts barely an hour following a workout. So in reality there really was no actual significant size gain that was a result of training my arms for 3 hours. So today if I had to restart with all that I know now, I would definitely cut down on my training volume to get bigger and stronger. Sure, for some it can be beneficial to do high volume training from day 1 and get great results, but for most of us abbreviated training will be far more beneficial. Using abbreviated programs becomes even more critical if you train infrequently. Since you will not be training often, your threshold will be low. Thus it will be very easy for you to overtrain with a high volume workout, whenever you do happen to train. Of course if you wish to try abbreviated programs then do not make isolation exercises for the arms, calves or abs, the majority of your workout. Spend time performing mainly compound movements and get the best out of your workout. Thus plan your workouts around squats, deadlifts, presses, chins, etc. The trainee would perform some warm up sets for all the exercises where he would just focus on getting a feel of the exercise and get his mind and body ready for the movement that is to follow. 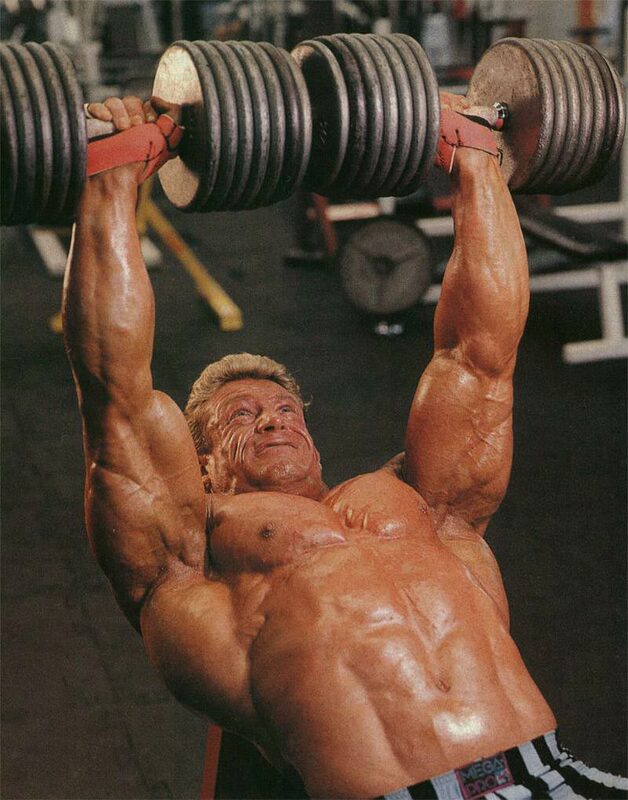 He would then perform 2-3 sets with heavy weights for 5-12 reps. The above mentioned program, along with surplus calories and adequate sleep, will be great to keep the trainee fresh and primed for growth,.With abbreviated workouts you will find that you have much more energy and recover faster between workouts. Now, if that along with the prospects of better results is not motivation enough for you to try abbreviated programs, then I dont know what is. Of course if you are very advanced, and have a great work and recovery capacity, then this will likely be too little training for you. However, even in such cases if you have been overtraining for a long time, then a short dose of abbreviated training for a few weeks will give your body just the required rest, and prepare you for future strength and mass gains. What about conditioning? If you are looking for maximum conditioning while looking to add maximum size and strength, then you will not make much progress either ways. Ideally train for one goal at a time if you want best results. However a minimum amount of conditioning is something that we all must strive to maintain no matter what our goals might be. Again, there is a difference between optimal conditioning work and maximal conditioning work. Too much time spent in conditioning workouts will leave you too tired to train hard when you try to lift heavy. So to maintain minimum amounts of conditioning you can do rope jumping, kettlebells, sprinting, and kickboxing for 10-20 minutes 1-2 times a week. This much conditioning will not negatively impact your strength sessions, and will leave you with enough strength and energy to hit the weights hard.